Please welcome the SEMrush Site Audit Tool, a new website health checker that detects issues related to crawlability, accessibility, content, semantics, links, and coding. • Notifications (i.e., long URL, external or internal links using rel="nofollow"). 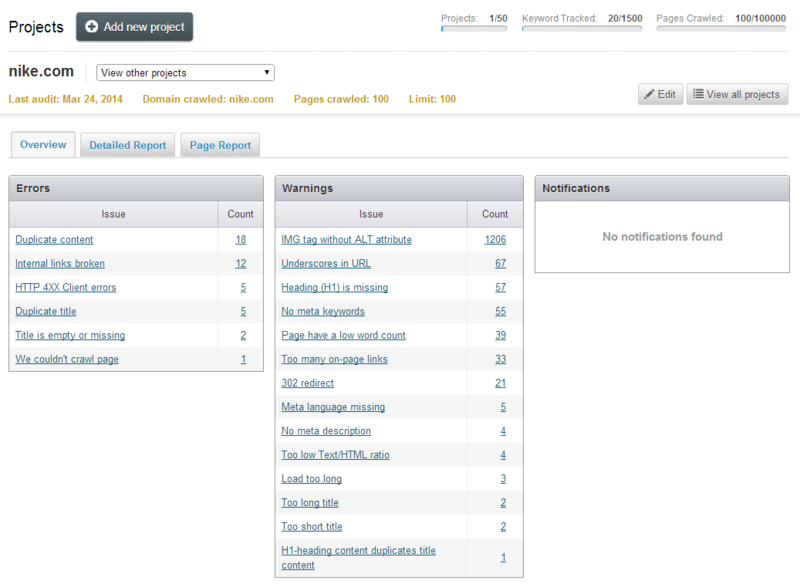 You can easily filter issues and see all the landing pages related to them. The monthly costs for using the Site Audit Tool are based on the number of webpages crawled. The Site Audit Tool is included with all paid subscriptions with different monthly crawling limits: 50,000 pages with the Pro Plan, 100,000 pages with the Guru Plan, and 200,000 pages with the Enterprise Plan. The number of crawled pages with the free account is limited to 200. This tool is in beta and we’re working to improve it, but it can dramatically help with website optimization now! Test your website with the SEMrush Site Audit Tool, and speed up the optimization process!